The Illiterate Infant household has now been on amber alert for about a week. In my head, there was no way I would be writing this today because I’d be too busy staring smitten-like at the newly born Miss/Mr I.I. Alas, no. Instead work has been as busy as ever and home has turned into a mini ER as both my ladies have come down with colds. Interesting times. 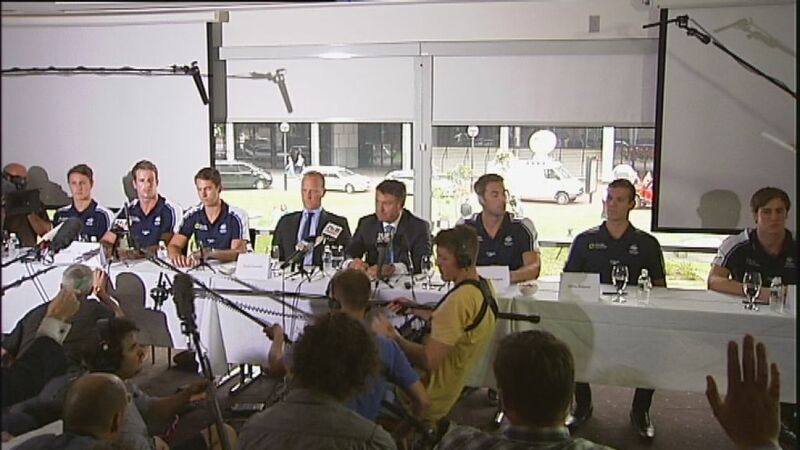 There’s been a lot in the press about the Australian swim team, especially the way the relay boys “acted up” when they were “bonding” prior to the Olympics. My first response has been “for f@#ks sake!”. They are boys. The fact that all they did was prank call some people and take some sleeping tablets makes their behaviour pretty tame in my books. A friend of a friend of mine did much worse when he was younger, dumber and fitter. It wasn’t until I read this excellent opinion piece by Ben Quilty that I started to question my initial thoughts. Ben’s argument is pretty simple. These guys have been given an enormous privilege. They are being supported by the Australian Government (ie you and me – australian tax payers) to learn their “trade”. When I went to uni the first time I had to pay HECS and the second time I nearly had to sell a kidney to afford it. The same goes for every teacher, nurse, doctor, lawyer, accountant, tradie etc. We all have to pay the government back in some way for them supporting us to learn the skills to earn a living. But not out athletes that are supported by the AIS. They get supported to learn their trade (sport) and then in many cases don’t pay tax on the winnings they may get. Sure they train hard, wake up early, watch what they eat etc, etc, etc but in the end its a choice they are making to do the sport. Ben’s perspective is really interesting – in the end he just wants them to have to pay back for what they’ve been given, as he has had to do through his winnings from painting (he’s the guy doing the portraits of soldiers over in Afghanistan). Perhaps by having to payback our investment in them, these olympians would be be a little less inclined to take the piss? Check out his article and let me know what you think. Apart form having one of the more interesting names for a blog Victoria over at declutterbugversuscaptainstingypants has put together one of my favourite finds for the year. Her writing is intelligent, funny, a bit heartfelt and honest. I read her post on Children’s activities vs mum’s activities and could actually hear the same conversation I had had with Mrs II a few weeks ago (there’s even a formula!!). Victoria is a great observer and has a great way of putting into words the craziness we all see as parents everyday (made a little crazier by having twins in her brood). Hence her hard hitting post on pool-pooing that is the lucky recipient of my Best-Poo-Story award for 2013. If you haven’t already, check out the blog or jump over and like the Facebook page here. Thanks everyone who’s entered the inaugural baby’s weight and height guessing game. There’s still time to read your tea leaves, tarot cards or lucky stars and let me know what you think the dimensions of Mr/Miss 0.9999 will be. 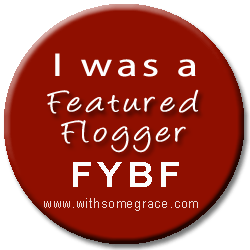 As always, I’m sharing (if not a little late) with the wondrous Grace over at withsomegrace for Flog you Blog Friday. Like what your reading? Can’t risk missing another post? Why not keep up on all thing Illiterate via the facebook page, google plus or twitter? This entry was posted in Caught my eye and tagged Afghanistan, Ben Quilty, Olympic, stillnox, Tertiary education fees in Australia. Bookmark the permalink. I love that Ben Quilty article, he makes such a fabulous point! Thank you for bringing that to my attention. I think sports people in this country have it very easy, and there is always an excuse for their bad behaviour, an excuse that never includes fault of their own, yet if anyone else in society behaves in such a way they have to suffer the consequences and so should sports people. Yeah I get that there are certain pressures associated with being in the spotlight an all the training, yada, yada, yada, but when you look at how many people have had the same pressure and spotlight, and still managed to keep themselves in line, well, the excuses start to look pretty thin. Well said – I’ve been guilty of excusing sportsman in my younger years but as I grow up I can’t help thinking that they’ve had the easy ride. The thing they seem to forget is that the sport is their choice – they can quit at any time. Hhmmm…The whole Olympic swim team thing is pretty tricky. I know that they are in a really privileged position but they are also normal human beings. I cannot wait to read the poo story…. I love Victoria’s blog! She’s a fellow twinnie mama so there’s a strong connection there already!